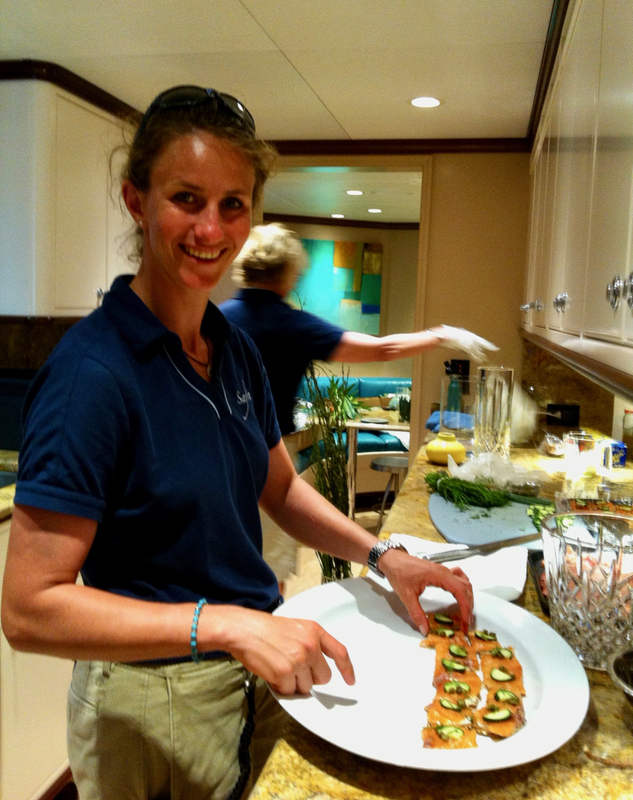 Living the superyacht life is a unique choice. You're choosing a career that rewards hard work with incredible travel opportunities, good pay, and a non-traditional schedule. If you're a deckhand, you'll build some unique skills -- or some may say obsessions. 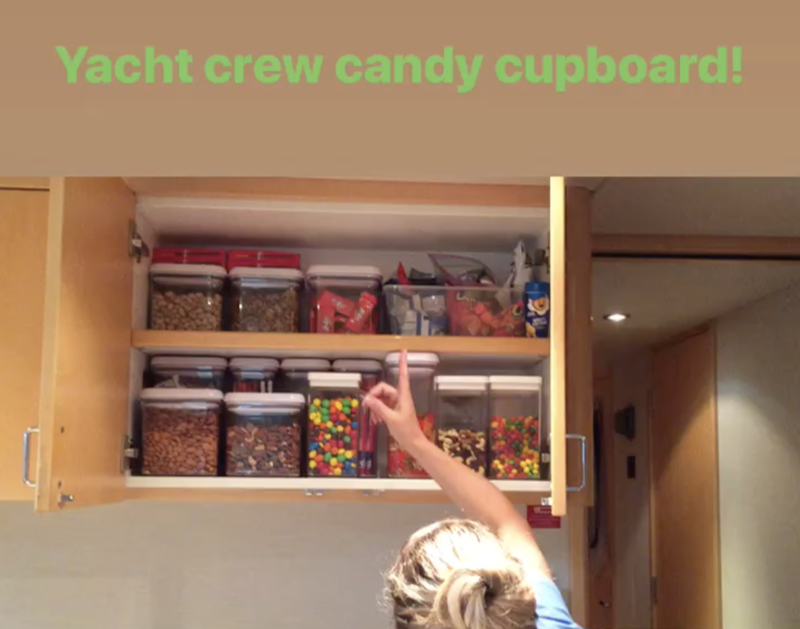 After a few months or years onboard, you may find that you're surprisingly handy when it comes to something needing a fix, or more concerned than the average person about tidiness, labels, organization, and cleaning products. Is That Clean Enough For You? You have a chamois in your back pocket at all times to remove every fingerprint you see. Fingerprints on stainless drive you nuts. You line up bottles of cleaning products in your cupboards so the labels are all facing forward. You buy cleaning products in bulk quantities. Then, you buy backups of the backups. You clean microscopic spots off stainless steel with a toothbrush. You actually notice those microscopic spots in the first place. You consider at toothbrush a tool. You know the best places to buy metal polish in Ft. Lauderdale, Florida, Antibes France, Palma Mallorca, Spain and St Maarten in the Caribbean. You have assisted the engineer and buffed every bit of stainless steel in the engine room to a perfect mirror finish. You feel extremely satisfied with the results. Where Did You Say We Were This Week? Every time you hear noises in the night, you jump up to see if the boat/house/building needs the lines adjusted. It’s part of your job to take people Scuba diving. You’ve been down the Blue Hole in Belize and seen hammerhead sharks in the Bahamas, twice. On your day off you get to visit some of the most exclusive, posh places of the world, frequented by billionaires and the mega-wealthy - and you don't have to pay for a hotel. No big deal. You’re working 17 hour days for a 4-week period, and that’s okay because you know that soon you’ll have four days off in Bonaire to go diving on your own time. You’ve been to the best nightclubs in Ibiza on your weekend off. Part of your salary package is a flight home once a year and six weeks paid vacation. A pretty big deal when you’re on the opposite side of the world from home - not to mention the extra miles you'll pick up for free! I Get Paid To Do This? The only expenses you have are taxi rides to the closest yachtie bar and a few beers on days off. Oh, and that vacation to Cuba you’ve got planned for the end of the season. The rest of your money disappears into your increasingly large savings accounts. You buy a $1000 watch, just because. 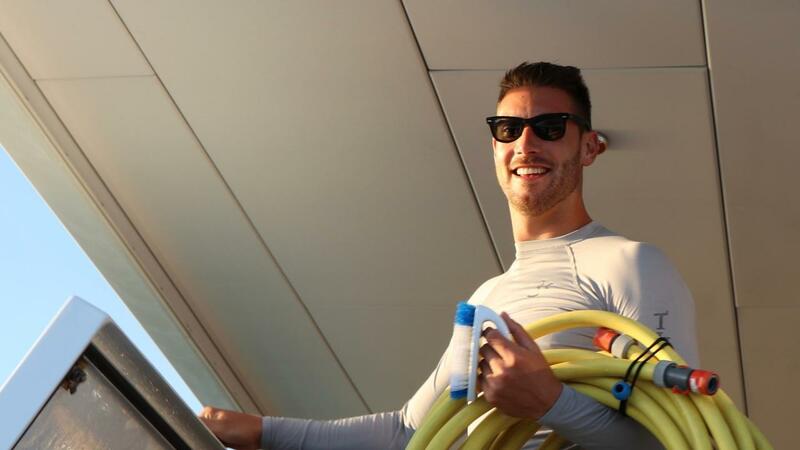 It’s your job to ride jet skis. A hazard of the job is too much of that Caribbean sun. It turns you into a bronze god while you wash the decks. Too bad about those t-shirt lines. You go through at least a bottle of sunscreen every week. 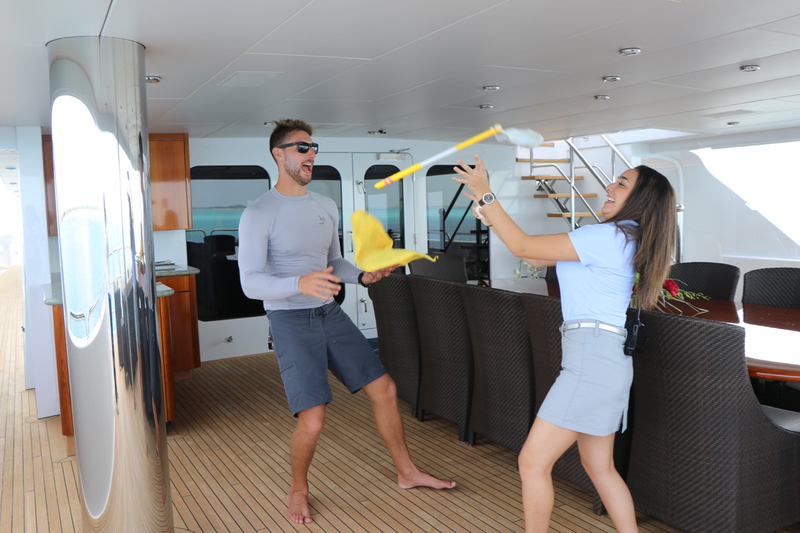 After cleaning up and donning formal wear in the evening, you easily transition from polishing stainless and driving jet skis, to helping the interior crew with tending bar and serving drinks. Your boss truly appreciates your professionalism and loyalty. He is rewarding you with thousands of dollars of training to upgrade your certifications, paid time off to attend classes, and a pay raise and promotion after you complete them. You store all your worldly possessions in a narrow bunk, three drawers, and a small hanging locker. Besides your uniform, your wardrobe consists of 3 shirts, 2 pairs of pants, 6 t-shirts, and a pair of flip-flops. Your worldly possessions can fit in a backpack, convenient for a quick get-away when you get a spare moment in an exotic destination. You put in a request each week for all your favorite snack foods, and they arrive like magic, carefully stowed in an easily accessible cupboard for your convenience. You can sleep soundly with another person in a bunk an arm’s length away. Did we mention he is snoring like a freight train? No problem! At any given time, your pockets might contain random screws, an old polishing cloth, bits of green painter’s tape, a screwdriver and the key to the tender. 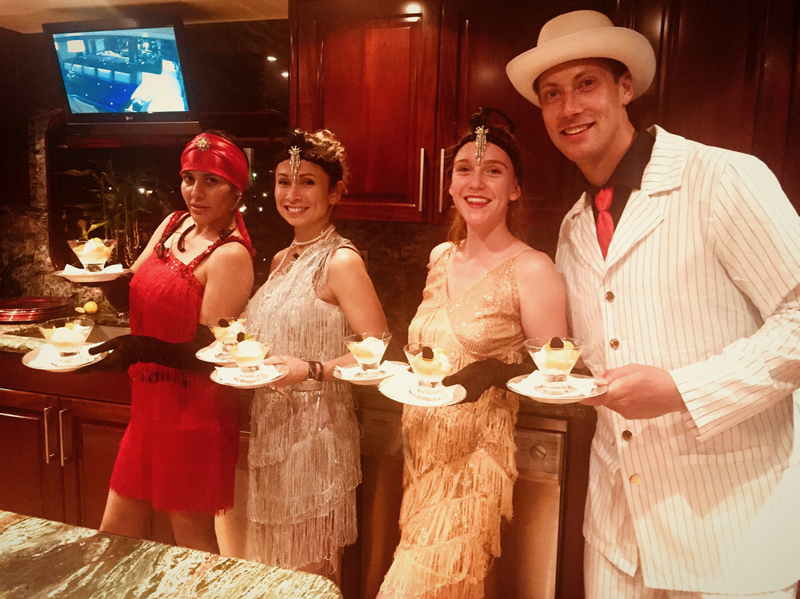 You and your crewmates toast with the charter guest’s leftover Dom Pérignon champagne that they gifted the crew to celebrate a successful trip. Beef tenderloin and wild Alaskan salmon are a regular part of your (free!) diet. You sometimes find yourself helping the chef plate dozens of hors-d'oeuvres for a big party. You have partied in at least 25 different ports in the last year. You have a string of Mardi Gras beads hanging next to your bunk. You’re not quite sure where they came from. You occasionally stay up until 3:00 am on gangway watch, assisting guests on their return from a night out and making sure they get safely onboard in whatever state they might be in. Your lips are sealed. Your best friend and roommate, also a deckhand, is from Bulgaria. He speaks four languages, has a degree in anthropology and is the perfect combination of wingman, party animal and professional yacht crew member. 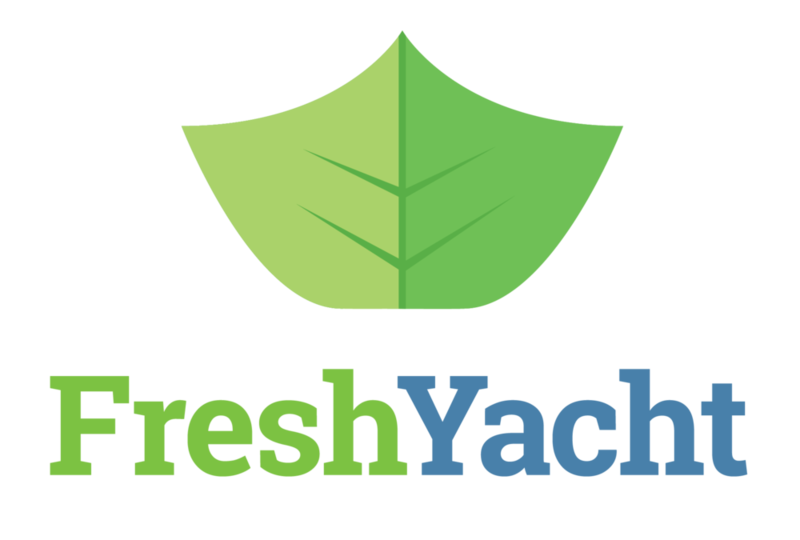 Whether this sounds like fun or you think you might be going crazy, FreshYacht is here to help you become the best Deckhand you can be!